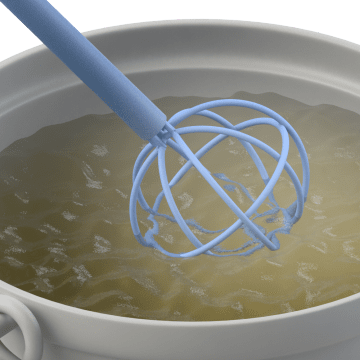 Improve the texture of your dishes with these whips and mashers. 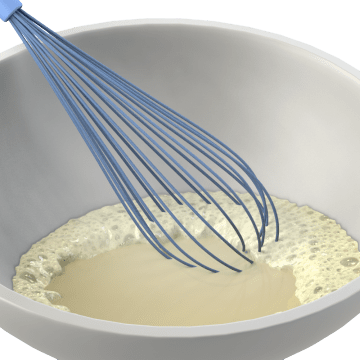 Use whips, also known as whisks, to thoroughly mix ingredients and aerate eggs, creams, and sauces for a fluffy consistency. Use mashers to smash potatoes, fruits, or vegetables to a smooth consistency. 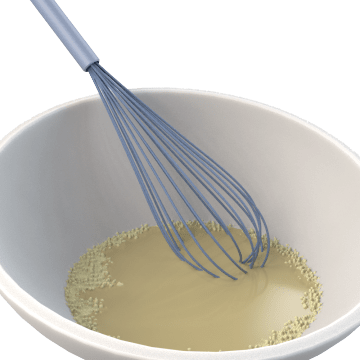 Also known as whisks or French whisks, these tools thoroughly mix ingredients together and aerate eggs, cream, and sauces. These stainless steel tools have a handle with long loops of sturdy wire. Whip cream into a fluffy dessert topping, beat egg whites into stiff peaks, or aerate savory sauces with these whips. 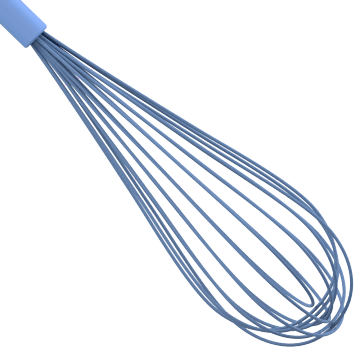 Sometimes referred to as whisks or piano whips, they have multiple loops of thin metal wire attached to a handle. These stainless steel whips have an extra-long handle for reaching into deep pots or kettles to stir ingredients for a smooth consistency. Choose between whips with an elongated looped-wire head or a round head. 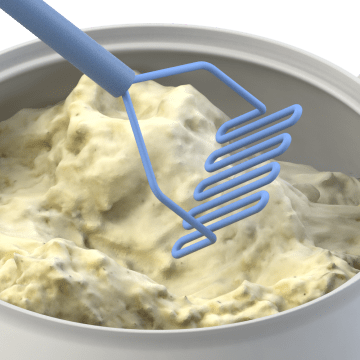 Smash foods such as cooked squash or fruit into a smooth consistency with these mashers, sometimes called potato mashers. Constructed with a long handle and a sturdy mashing face, these tools come in different lengths, face shapes, and diameters.